Two weeks before Christmas, Diana Duprey, an outspoken abortion doctor, is found dead in her swimming pool. A national figure, Diana inspired passion and ignited tempers, but never more so than the day of her death. 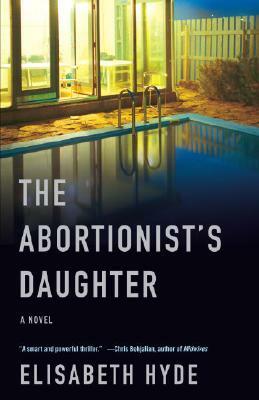 Her husband Frank, a longtime attorney in the DA’s office; her daughter Megan, a freshman in college; the Reverend Stephen O’Connell, founder of the town’s pro-life coalition: all of them quarreled with Diana that day and each one has something to lose in revealing the truth. Meanwhile the detective on the case struggles for the answers — and finds himself more intimately involved than he ever could have imagined. Elisabeth Hyde was born and raised in New Hampshire, and briefly practiced law for the Department of Justice in Washington, D.C. In 1982, she took some time off to write her first novel, Her Native Colors, and never looked back. She has been awarded working scholarships to the Bread Loaf Writers Conference, teaches creative writing through artist-in-residence programs, and is also the author of Monoosook Valley and Crazy as Chocolate. She lives in Colorado with her family. “A smart and powerful thriller."